Strong Autumn winds had ripped the Silver Birch leaves from their branches. Although this excluded their bright colours from this image, it revealed the structure of the branches, thus providing a sense of depth. 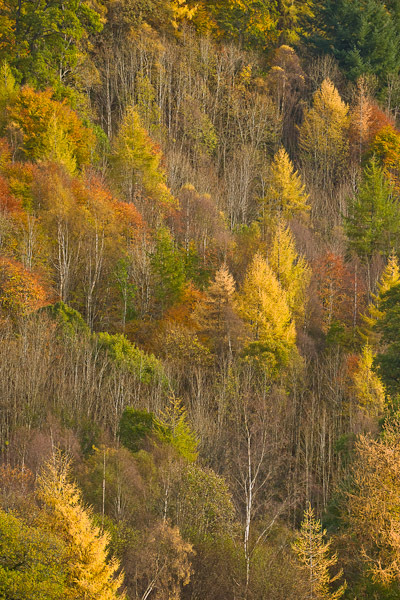 The surviving Birch and Larch provided golden colours to balance the bare tree branches.